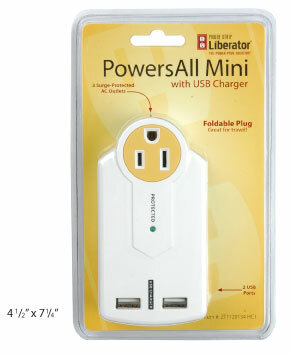 Connect up to five devices to one power outlet using the portable surge-protected PowersAll Mini. This compact outlet multiplier has room for three bulky AC adapters... and also includes two USB-style 5V DC power outlets. Now when you travel, you won't have to choose which device chargers to leave behind.